WindEurope and the Bilbao Exhibition Centre (BEC) today agreed to work together to deliver the WindEurope Conference & Exhibition from 2-4 April 2019 in Bilbao. 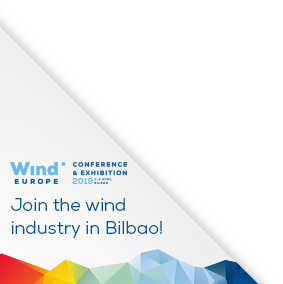 The conference and exhibition is the most important event in Europe for the wind industry and is one of the reference events of the association, with an average of 8,000 professionals attending from all over the world and over 400 exhibitors from 50 countries. The region has become a significant industrial cluster for wind energy, and this is creating real local economic value and jobs. Haizea Wind, for example, is currently undertaking new investment and will soon present its latest initiative in the region. 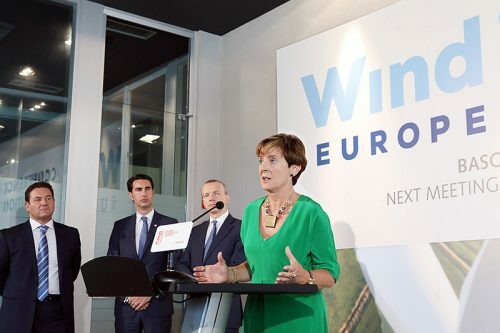 Along with the recent decision by the newly-formed Siemens Gamesa Renewable Energy to base their global HQ in Bilbao, it’s just one of many examples of the importance of the industry in and around Bilbao – and illustrates why Bilbao is a logical choice to host the annual European wind industry get-together in 2019. 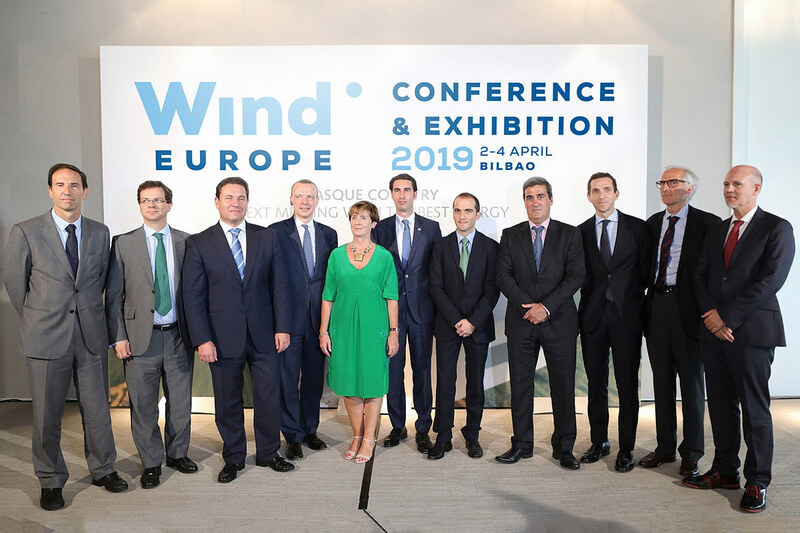 WindEurope CEO Giles Dickson said: “The Basque Country made a conscious decision to invest in the wind industry and is reaping the benefits in investment, jobs and growth. More broadly Spain is also a leading European wind manufacturing hub, accounting for 22,000 jobs and billions in export revenue. Our bet on Bilbao is a sign of returning industry confidence. After a tough past three years, Spain’s wind energy market is now back on the map”. Spanish Wind Energy Association (AEE) Chairman Juan Diego Díaz said: “The more than 20 industrial centres that our members have in the region not only make Bilbao a reference point for the celebration of this conference but also highlight the Basque Government’s commitment to our industry. AEE considers the Basque Country to be a strategic area for the development of the domestic and international wind power industry and the most important offshore hub of Spain. “After a few years at a standstill, Spanish wind power is now in full growth and 2019 will mark a key year in the installation of new megawatts, with more than new 3,500 expected. Spain is, therefore, the country of Southern Europe that is showing greater commitment and is strongly betting on the industry, which is why the celebration of this event in our country has AEE´s full support and our desire for its continuity in the future. “Also, 2019 will be perfect timing for the analysis of the technological challenges the sector is facing such as hybridisation, storage or repowering; topics that will be addressed during the conferences of the annual Spanish Wind Power Congress that will coexist and integrate with the Exhibition. This will be the ideal framework to keep deepening the main challenges and solutions to move forward in the path of Spain´s energy transition and in achieving the European objectives with a regulation that must guarantee visibility, stability and predictability for investments ensuring their profitability”. Ms. Arantza Tapia speaking at the press conference in Bilbao. “However, apart from the above-mentioned figures in such a small country like ours, I believe that the attractiveness of the wind power industry lies precisely in its potential throughout the entire chain, where strong leading businesses in the field coexist with many auxiliary companies. I would like to take this opportunity to emphasise the role played by the Basque Energy Cluster as consolidator, guide and lubricator, if I may use that expression, for companies in the sector. From the cluster, in collaboration with the Basque Energy Board and Spri, we are working to strengthen the value chain of the wind energy sector in the Basque Country. This is about continuing to supply systems, components and high value-added services to the main sponsors and manufacturers of wind turbines at global level”.